The Library Terrace has hosted some exciting temporary installations over the past month, including the NYPL Library Inside Out and Art Cart Community Scroll. 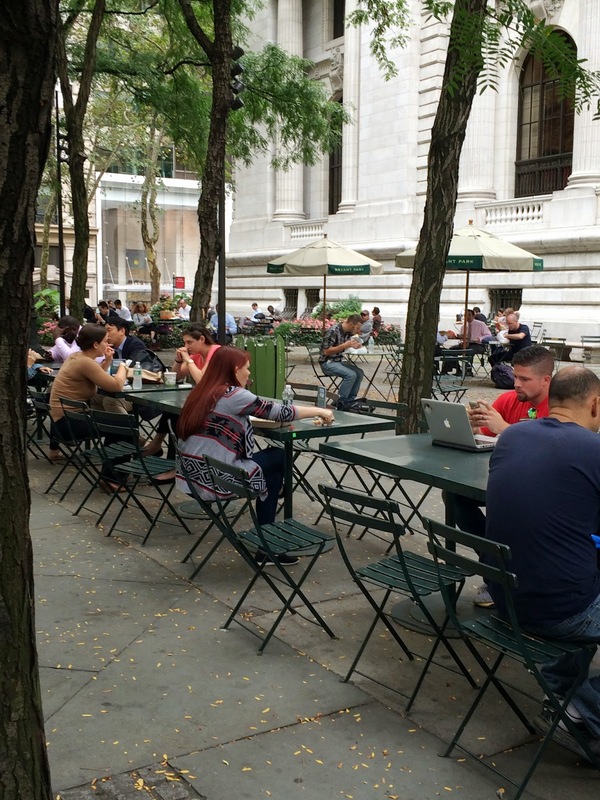 The Library Terrace is worth another visit to check out the Bryant Park Worksp@ce, a new temporary feature. Dozens of work-spacers cross things off their to-do lists. 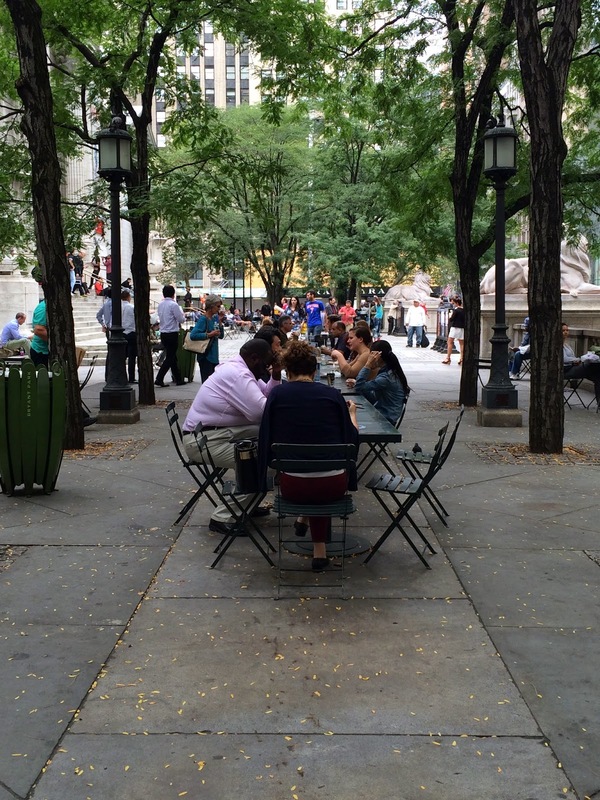 Ditch you desk and work outside at our Worksp@ace. We've got long tables set up, perfect for working outside and enjoying a refreshing breeze. You'll be sitting alongside others who are working hard--concentration is contagious! To help your productivity, we've posted simple rules that allow you to work to your fullest potential. Please keep your voice at an inside volume. The tables are reserved for people who are working, so please don't eat your lunch at the tables. And just like any outdoor space, please do not leave your items unattended. We hope to see you at the Worksp@ce! The long tables prove that concentration is contagious.